PHP GD graphics library is a PHP extension for creating images and it can be installed on Linux and Windows servers. You can use the PHP extension to create images in formats like JPEG, PNG etc. GD is not only used in PHP, it is also used in other programming languages like perl, python etc. First you must install the EPEL repository on your CentOS/RHEL server. Run the command “yum install epel-release” to install the EPEL repository. You must enable the repository after the installation. 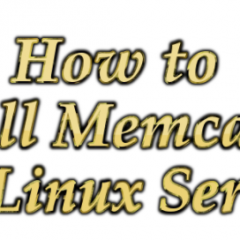 The below steps are for CentOS and Redhat server. Scroll down for Installation steps on cPanel servers. This will show the exact package name. Change the package name in the below steps accordingly. 5. You must create a phpinfo.php file under your website to verify GD library is installed. Steps to Install php-gd on CentOS 7 and RHEL 7 servers is the same. The only difference is you must install REMI repository for CentOS/RHEL 7 before installing php-gd package. You can also Install PHP GD by downloading the rpm file. You can download the rpm from websites like rpmfind. IMPORTANT : You must check the OS and architecture before download the rpm file. Example : Do not install 32 bit rpm on a 64 bit server. PHP gd rpm file of Mageia, Mandriva, CentOS, Redhat and Fedora distribution is available in rpmfind website. 4. Run the command “rpm -Uvh php-gd-x.x.x.rpm” to install the downloaded rpm file. Enabling GD library in easyapache 3 will enable Zlib extension. 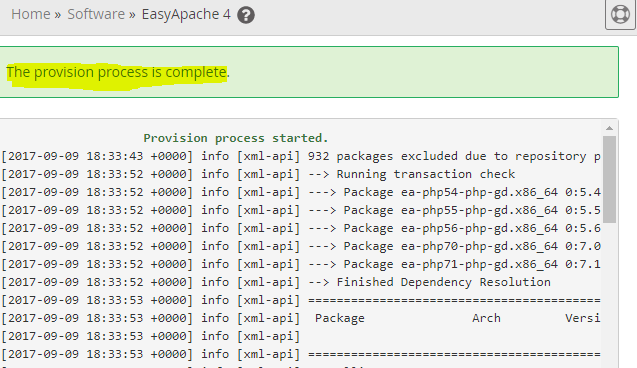 It might take few minutes to recompile easyapache and the GD extension will be enabled after the recompile is completed. Easyapache 3 is scheduled for deprecation in January 2018. 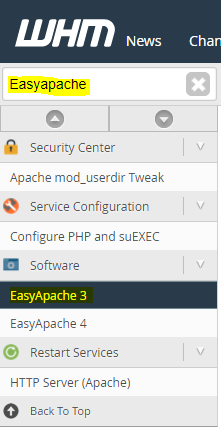 The above steps are for servers running old version of Easyapache, do the below steps for Easyapache 4 servers. 3. 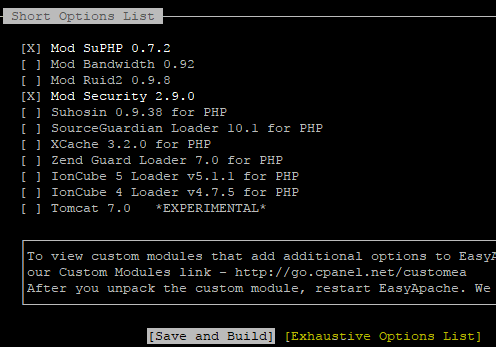 Run the below command to check, for which PHP versions GD is already installed. 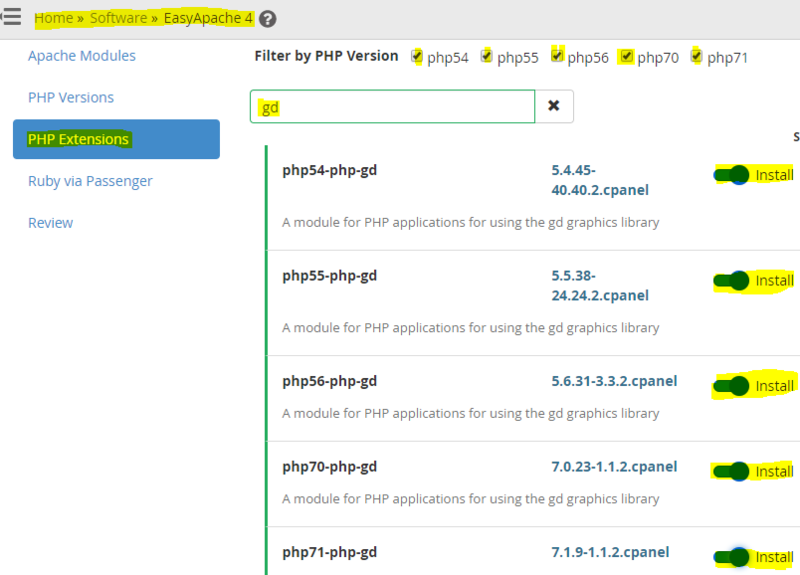 PHP gd can be installed either through server backend or via WHM. 9. 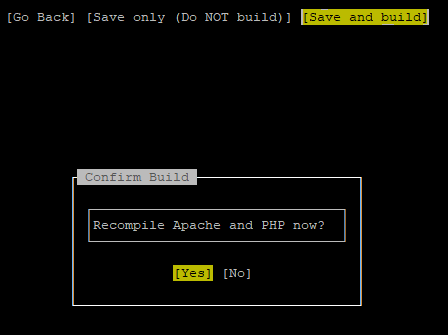 Create phpinfo file under your websites to check whether PHP GD library is enabled.